It is not the size of the dog in the fight. A very expensive chess set? Are the Norwegians best at sport? What is it about the Kings Tournament? Better get your skates on! Earlier this month I flagged the possibility that the FIDE Standard Rating List would include games played with a minimum time control of 60m. This proposal was rejected by the FIDE Executive Board, and so the current minimum time controls remain. While I did not support the proposal, it would have opened up some extra possibilities for the Australian chess scene. My local club (Australian National University) plays four tournaments with a time control of 60m+10s, while a number of weekend events in Australia use the same time control. I was a little surprised to receive a letter from google the other day, that wasn't the usual 'please advertise with us' snail mail spam. In fact it was the opposite. It instead said 'here, have some money' and was a my first payoff for the annoying ads I have on this blog. It wasn't a great amount (a little over $100) and the fact it has taken me 6 years of almost daily blogging to earn that small amount shows that this was never going to be a full time career. But nonetheless, thank you for everyone who has visited this blog and clicked on the annoying adds down the side of the page. The next time I fill the car with petrol (bye bye $100) I will be thinking of you. 'Do chess players dress up like cosplayer's do?' was a question I was asked just the other day. 'Of course not' I replied 'What do you think we are, nerds?'. Turns out I was wrong, and it is possible to get dressed for chess, or at least as a chess piece. Just in time for Halloween you can get a full size adult Chess King Costume from Amazon. And for the chess playing lady in your life, you can even get the matching Chess Queen Costume. There is even a smaller costume for the kids. For a long time the country with the largest number of FIDE rated players in the world was Germany. This fact was often greeted with surprise, as a lot of people simply assumed that Russia would easily be number 1. But it isn't just the number of players that contribute to this stat, but the number of organisers. While Russia has lost of players they seem to have less FIDE rated events. Now it seems that even Germany has been overtaken, by India and France. Currently both countries share the lead (with 35,200 rated players) but based on recent trends India will soon hold the outright lead. It does help to have (a) a billion people and (b) the current World Champion, but it still requires tournaments to be organised to get players into the system. I'll have to do a bit of digging to find the rest of the rankings, and I suspect there will be other surprises hidden in there. Apart from bragging rights, it may reveal just who are real chess countries and who just think they are! Czech team G-Team Novy Bor are the somewhat surprising winners of the 2013 European Club Championship. The secured their victory with a win over Minsk in the final round. However it was their 6th round win over top seeds SOCAR which was the real triumph. Despite being outrated on every board, they won the match 3.5-2.5 including going 3-0 on the top boards. The loss also seemd to knock the wind out of SOCAR's sails as they only drew their final round to fall back to 3rd place, behind Malachite. A recent peeve of mine is the expression "One side is playing chess, the other checkers". I get what it is trying to say (one side is just smarter than the other), but it still strikes me as weird. Most often I've seen it used in the context of American (US) politics, although I feel it is giving away more about the american mindset than commentators realise. To me it is admitting that the default game in America is Checkers, while only really smart people play Chess. For a country that argues it is 'exceptional', this is a kind of damning admission. Better would be "One side is just better at chess than the other". The Svidler Nakamura game from the current European Club Championships is a good example of the adage "give a man enough rope ... ". Svidler starts off by grabbing a huge amount of space but in doing so gives Nakamura plenty of targets to aim at. Possibly due to sense that he 'must be better' Svidler then overreaches, before his position suddenly collapses. I suspect if Reti had been alive to see this game he would have concluded that Black had been winning all along! The Asian Cities is a tournament that has had a mixed representation from Australia over the years. Occasionally a team of 'privateers' will take part, but it often depends on timing, travel costs and enthusiasm. This is a bit of a shame as it is the kind of event in which a team of younger players (or olympiad hopefuls) could use to gain some international experience. The current edition of the event is currently running in the The Philippines, with the Tagatay, the host city, currently leading. Tagatay is fielding an all GM team, and leads two Chinese teams by 2 points (Match points are being used for scoring). Oddly, the event does not seem to have its own webpage, although the organisers are sending out daily newsletters. However you can at least follow the results, and download the games, via chess-results.com. I'm not sure if I have shown this puzzle before, but if I have, apologies to avid readers. At first glance there isn't much to see (KvK) but only because we are going to work backwards. 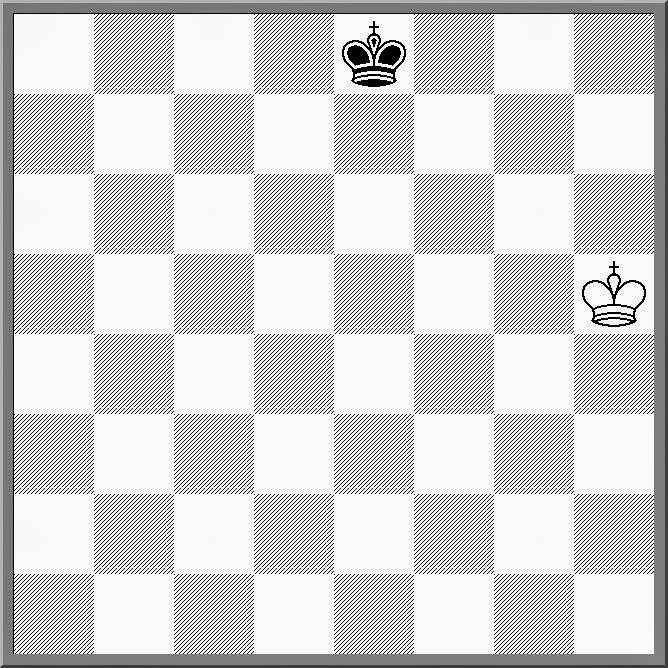 Specifically White takes back their last move, then Black takes back their last move. Black then plays a different move, allowing White a mate in 1. This whole game looks like an opening trap, but surprisingly it isn't. Sure Black plays some dodgy moves, but the only previous game to reach move 10 ended in a draw (albeit between a couple of 2000 rated players). Black can still hang on if he plays 10 ... Qa5+, but 10. ... Na6 really does lose. The European Club Championship has just started on the Greek island of Rhodes. At the top end it is incredibly strong, with the strength of the top 4 teams averaging 2700 and above. Obviously these teams (and anyone in the top 10) is here to try and win the tournament, but the bulk of the field is made up teams representing their national leagues. For these teams it is either about mixing it with the big dogs, or aiming for a bit of personal glory. The first round mainly went to script, although there a couple of mid field upsets. Amazingly not one, but two English players managed to lose their games to the dreaded zero default rule. Even more surprisingly they were on different teams. The problem for at least one player was that he simply forgot to adjust his watch when arriving in Greece, and was still operating on GMT. Apparently he was relaxing in the bath when the round started. It is worth pointing out that 'zero default' will no longer be in the Laws of Chess from 1 July 2014. The wording has been changed so that the organiser is required to specify a default time for the tournament. This is up to the organisers discretion about what that time will be. Of course I am sure that some organisers will still insist on 0 minutes, but hopefully common sense will prevail in most cases. Normally the game of Aaron Nimzowitsch were long, drawn out affairs, where the master of positional manoeuvring targeted an almost imperceptible weakness in the opponents position, and slowly ground him down. But on occasion Nimzowitsch could pull of the tactical brilliancy, especially if his opponent gave him no choice. There is a famous win over Alapin, but the following win over Fluss is just as good. After 13 moves it looks like Black *must* mate, but some clever defence, plus a queen sacrifice, turns the tables with remarkable speed. The 2013 World Championship Match is still a few weeks away, but I thought I would get my predictions in early. I am going to go with conventional wisdom and predict a win for Magnus Carlsen, but with one caveat. If the match comes down to the final game (ie the players are tied on 5.5) then I think Anand will cope with the pressure and score an unexpected victory. Having said that I think the match will be over by game 11, with Carlsen winning 6.5-4.5. The picture shows a large chess set that was part of an exhibition at the Tate Modern in London. Apart from the design of the pieces, there was another interesting aspect of the display. The pieces were all covered in money, specifically US Dollars and Euros (Dollars closest to the camera). I did not get close enough to see if they were real notes (as opposed to an artistic representation), but given the lack of security, I'm assuming they might not be. When discussing this piece with someone I guessed that it was making a statement about money. "Yes" they replied, "It says that money can be glued to big chess pieces"
One of the books I picked up overseas was a book called 'Soccernomics'. It is about the application of the whole 'Freakonomics' style of analysis to football, although its original title 'Why England Lose' was probably a better choice. In the chapter 'The Curse of Poverty' the authors attempt to rank the best sporting nations in the world, based on their performance at various 'global' sports. They are fairly generous at including sports (Cricket, Rugby Union and Baseball all get in), and they also include Chess as one of the sports. There ranking criteria for Chess is the number of years the World Championship was held by a player from that country. So for Chess Russia/USSR is ranked first followed by Germany (Lasker), then France (a dubious Alekhine I assume), USA (Fischer) and Cuba (Capablanca). Overall the USA come in at number 1, followed by Russia/USSR. But the authors then adjusted for population, and it turns out that Norway come out on top (even without Carlsen adding to their total). Sweden is second, with Australia third (they were 8th on the initial list). But it was a close run thing, with Australia finishing 0.01 points ahead of fourth placed New Zealand! I've been quiet on the topic of computer cheating in chess over the last few months. This was due to the fact that I had been appointed to the new FIDE/ACP Anti-Cheating Committee and I felt it best to refrain from comment while the details of our work were still being established. A draft of the proposed regulations and recommendations is being put together and will soon be circulated amongst the committee for comment. Then a final paper will be released (in around 3 months). The idea is that the recommendations will then be discussed before the FIDE Congress in Tromso, August 2014. In the meantime the committee will also be looking at other aspects of cheating as well, including fictitious tournaments (they sometime happen), and rating manipulation. As these things are amenable to statistical analysis (or just straight database searching), the committee felt that they should fall under our umbrella. Peter Svidler has continued his successful run in Russian Championships, winning his 7th title. He defeated Ian Nepomniachtchi in a playoff match, after the two players were tied on 6.5/9. Nepomniachtchi defeated Kramnik in the final round, while Svidler guaranteed at least 1st place with a draw. The 7th win for Svidler is a record for the Russian Championship, and assuming that this title is a successor to the USSR Championship, also beats Tal's and Botvinnik's record of 6 wins. Kramnik's last round loss dropped him to the middle of the field, and surprisingly, means he is still to win the national title. A few years I suggested that the 2007 Kings Tournament in Romania was possibly the most boring tournament ever. The organisers invited a number of chess legends to play (Anderssen, Ribli, Mecking Portisch etc), and they played in a kind of legendary way, by agreeing to a large number of short draws. The 11 player round robin saw 80% of the games drawn. Since then the organisers have attempted to improve on the amount of fighting chess by inviting younger and more dynamic players. This years event includes Caruana and Ponomariov, but the crosstable has a familiar look to it. Caruana is leading the event on 3.5/5, but is the only player above 50%. In fact the only other player to score a win is Nisipeanu, who shares second place with Ponomariov, who has drawn all his games so far! Now I'm not saying this event compares with the 2007 version, as the games here have been much more hard fought, but I'm wondering if there is anything in the water that keeps the players from inflicting too much damage on each other. The Vikings Weekender is the third big weekend tournament in Canberra held each year. Over the last few years it has increased in popularity, with the fields getting into the 70's. As a result the prize fund has also increased, with a $1000 first prize. There is also an Under 1600 events with a $500 first prize, giving up and coming (or slightly past their prime) players a chance to pick up some coin as well. This years tournament is on the weekend of the 16th&17th of November, and will be held at the usual venue of the Vikings Rugby Union Club, Ricardo St, Wanniassa. It will be a 7 round event (always tough), with a time limit of G60m+10s. As promised I returned to the London Chess & Bridge Shop, to expand my library. One book I was after seemed to have sold out between visits (serves me right) but I did get a copy of 'Startling Castling!'. Early on in the book it has some examples of opening mistakes/traps that players have fallen into. In fact the traps shown were so good, that there were multiple games from the same positions, after played over a period of 50 years or so. One example is the following game, first played in 1922. For those with a keen eye for tactics will instantly spot the idea that occurs on move 9, but the question is whether you can make it work all the way to the end. Fortunately for Dr Imbaud the game was played by correspondence, so he had plenty of time to work it out. 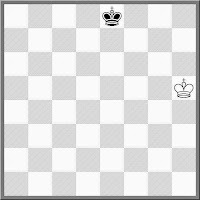 These days a program like Stockfish can justify the queen sacrifice in around a minute (at least on my slow computer), but it needs to see at least 11 moves (22 ply) before it accepts that it works. The English Chess Federation have decided to send a full strength team to this years European Teams Championship. This has sparked a debate on the always entertaining English Chess Forum about the merits of paying for a coach, and the expenditure on the team itself. I am not aware of the financial arrangements for the team, although I do believe that it is common practice to fully fund the Olympiad teams, with upgrades to single rooms/better hotels if necessary. I have not seen confirmation that the team will receive a fully funded captain/coach, although the debate seems to be working on the assumption that it is. The flipside to this is that the ECF has decided against sending a women's team at all. Possibly they felt they did not have enough applicants of sufficient quality to justify sending a team, although sayings involving 'chickens and eggs' come to mind. The real kicker. At the last European teams championship, the Women's team managed 23rd. The Open team finished 22nd. After a month in Europe I will be heading back home tomorrow. As with my journey here this will result in some disruption to my usual posting schedule, although I will try and at least post something if I have (a) internet, and (b) a charged computer. It has been an interesting trip, especially my time at the recent FIDE Congress. Some stories will no doubt end up as future posts, but for the really good ones (and even the boring ones), you'll need to catch me at Street Chess in the upcoming weeks! I always wondered if anyone had made the effort to include chess terms within the structure of Esperanto. As the language used European languages as the basis of its nouns I thought it was likely, although I had not come across any results. But leafing through a Edward Winter book on Otley library yesterday, I saw an article just on this topic. I can understand when an 1800 might bamboozle a 1500 rated player with a dubious/confusing sacrifice, but to see it in the Russian Super Final is another thing altogether. But to be fair to Kramnik he was never more than 2 pawns down (according to Fruit), so the Craig Skehan rule applies. For those not familiar with this rule (more of a guideline really), it is 'Being a rook down is not a reason to resign, as your opponent may blunder it back'. In the case of the following game, although Shomoev may have held an advantage, the nature of the position was that one mistake would be fatal, as it turned out to be. When FIDE publish the minutes of the 2013 Congress, you should at least look at the minutes from the Qualification Commission meeting. All I will say is, G/60m FIDE rated chess, coming to a tournament near you! If there is one commission meeting that can be guaranteed to drill right down to the smallest of issues in chess, then Swiss Pairings Program's is it. But it probably says something about me that I quite enjoy being on the commission, and sitting through the meetings. Today was no different as at various times we discussed (at some length) whether the rules should allow player A to play player B or player 15. As I get strange looks from people when I say that I on a committee that deals with the laws of chess, I won't even try to explain why this is important (either you get it or you don't). However we did do some important work, in the area of making the rules simpler They will now be laid out better on the FIDE website (shortly), as well as formalising some practices that have been ad-hoc in the past. Half point byes are now explicitly allowed, which I know some Federations have been uneasy about The issue of Accelerated Pairing Systems was addressed, although for now it is simply to set up a sub-committee to make future recommendations. We also voted to approve the JavaPairing program for use in FIDE competitions, but on the other hand Tornelo was rejected. Tomorrow the big ticket item is Anti-Cheating, and I hope to report on that when it is finished. It seems that most of the work of the FIDE Rules and Tournament Regulations Commission meeting was about removing rules, rather than fixing them. Having dispensed with Quickplay finishes on day 1, the RTRC Meeting took the axe to rapidplay rules yesterday. Specifically Rapidplay rules and Blitz rules are much more closely aligned. In games where there is not adequate supervision, illegal moves now lose, just as in Blitz. Also the clause stating 'The arbiter shall refrain from signalling a flag fall' has been removed from both Rapidplay and Blitz, meaning that arbiters can now flag players in Blitz. Objections to this change sensibly noted that results of games may now depend upon whether an arbiter is wandering past your board or not. It was also pointed out that the adoption of this rule may simply result in arbiters not going near any games during a blitz tournament, only involving themselves when requested to by a player (presumably by shouting or waving some sort of flag). The meeting of the FIDE Rules and Tournament Regulations Commission is now into its second day (Don't worry, we were allowed a break to sleep yesterday). Yesterday had a lot of discussion about changes to the Laws of Chess, and we made one big, and somewhat surprising decision. For the moment, the entire section 10 of the Laws of Chess (Quickplay finish) has been removed. This means that the difficult 10.2 rule is history. The upside of this is that Arbiters no longer have to involve themselves in the outcome of the game, but the downside is that players can now simply shuffle pieces to run their opponent out of time. While I feel arguments for both sides are perfectly valid (having more time than your opponent is an advantage v winning a position that is drawn on the board), I was surprised it came up as an issue at all. It was a recent addition to the agenda (it only appeared in August), and I suspect the general public were not aware that this issue was up for discussion. The vote was very close btw, and I think a modified version of the Law will be reintroduced (possibly later today) to deal with the fact that large number of events are still run using analogue clocks. Watch this space. After 2 days without regulations concerning Quickplay finishes, they are now to be put back in. The have been shifted to the appendices and will be titled 'Regulations for Quickplay Finishes' (or something similar). Don't be surprised if they look almost the same as the previous section 10. I've been in Estonia for a day and a half, although I've mainly seen the inside of my hotel, rather than the outside scenery. The FIDE Congress is under way, with the Rules and Tournament Regulations Commission being the first meeting of the day. Currently I am sitting in the meeting room, taking part in the discussion about how pawns are to be promoted. As with most discussions of this type, the smaller the issue, the more passionate the arguments! Hopefully I will be ale to get out into the town at some point and take some pictures and see the sights. Might even take the boat across to Finland on the rest day, just to add another country to the list of places I have visited.